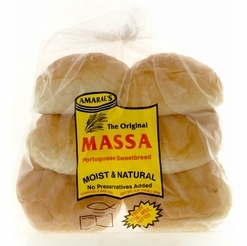 Amaral’s Raisin Sweetbread Rolls: the same time honored recipe as their famous sweetbread, now in single serve rolls. 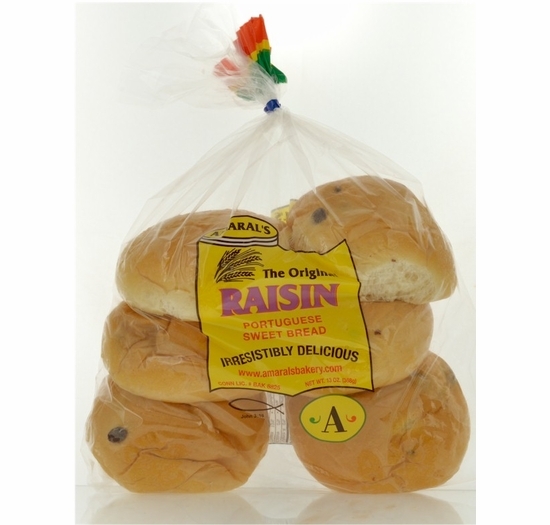 Make an appetizing sandwich, or lather one with butter, sugar and cinnamon and lightly toast for an irresistible treat! 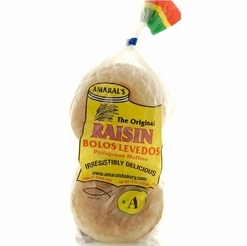 Just when you thought it can’t get any better, Amaral’s added plump raisins into their world-famous sweetbread! 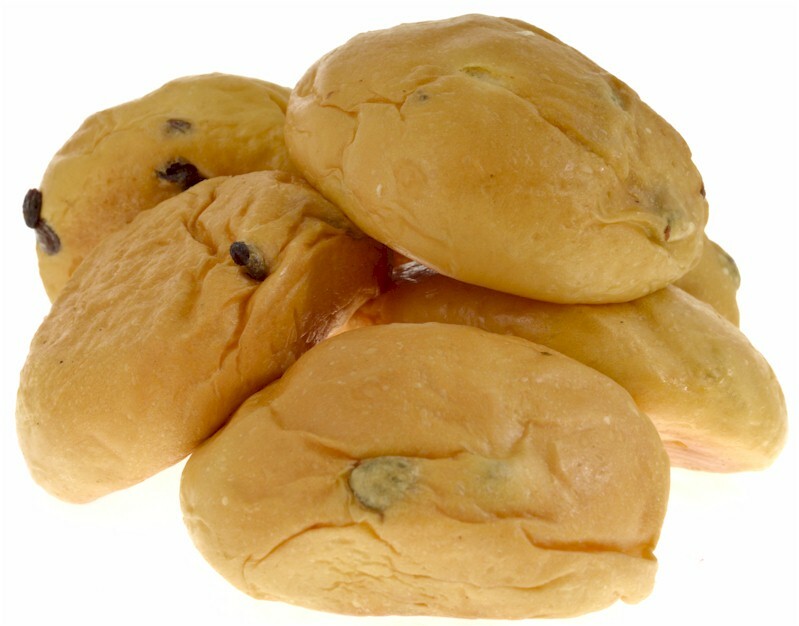 Portuguese sweet rolls have been the center of family gatherings and breakfast buffets for many local residents in the south coast. 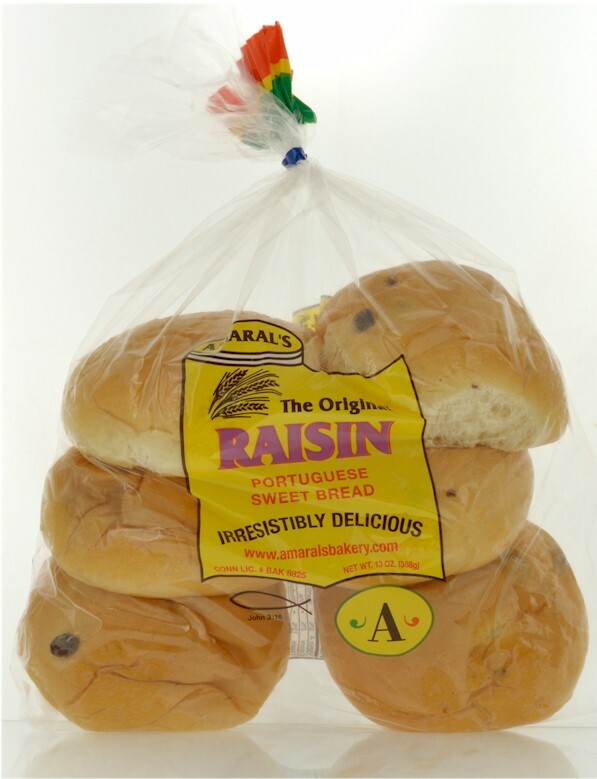 No matter where you are Amaral’s Raisin Sweetbread Rolls will make you feel like your home, and since home is where the heart is… (Package contains six rolls) Also available without raisins. 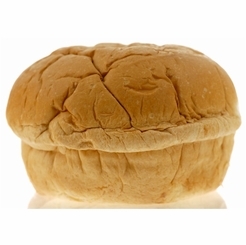 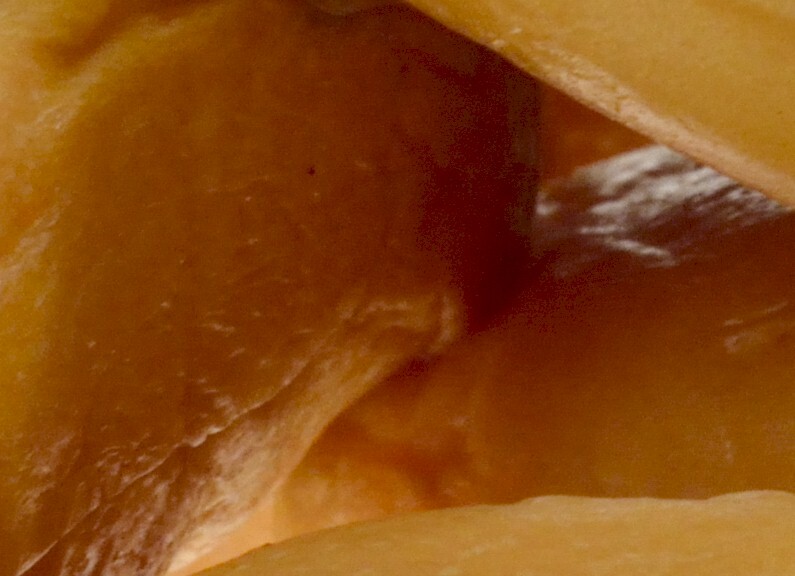 Ingredients: Flour (Bleached Wheat Flour, Malted Barley Flour, Niacin, Iron, Thiamin Mononitrate, Riboflavin, Folic Acid) Sugar, Eggs, Water, Raisins, Eggs, Milk, Margarine (Vegetable Oil, Partially Hydrogenated Soybean Oil, Water, Salt, Whey, Mono and Diglycerides, Sodium Benzoate and Potassium Sorbate (Preservatives), Artificial Butter Flavor, Beta Carotene (Color), Vitamin A Palmitate) Yeast, and Salt. 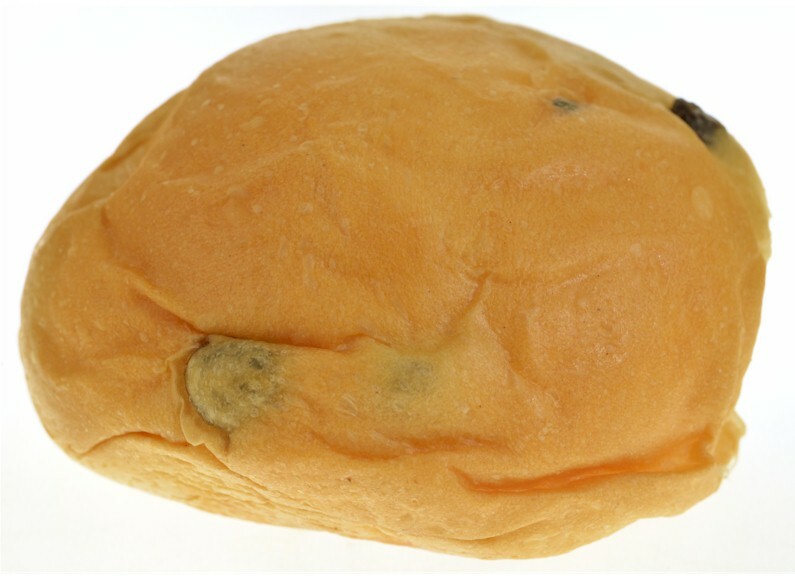 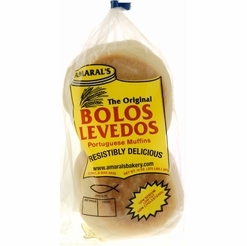 Raisin Bolos Levedos Portuguese Muffins 14 oz.